I was recently contacted by Opoko, a new Irish online shop, and asked if I would like to receive a Pamper Hamper to experience their products and service. You can imagine how long it took me to think about that. Shortly afterwards this lovely silver box arrived, packed full of all sorts of treats. I really like the ethos of Opoko: luxurious gifts at affordable prices. They pride themselves on offering cost effective luxury delivered to your door, and stock a wide range of unique and thoughtful products including homeware, toiletries, gadgets, children’s gifts and accessories. 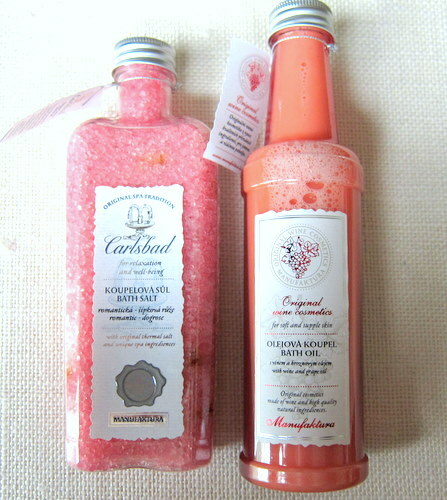 Bath Salts With Herbs & Thermal Salts (€9.59) and Nourishing Bath Oil with Wine, Grain & Grape Extract (€11.58), both by Manufaktura. 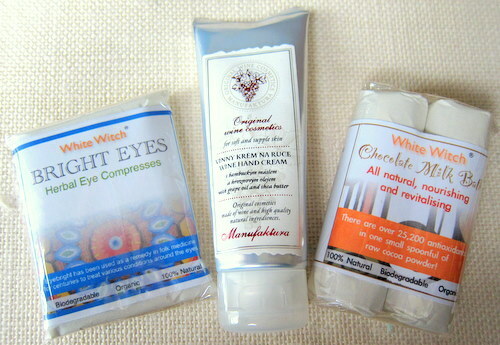 Bright Eyes Eye Compress by White Witch (€5.00) Regenerating Hand Cream With Grape Oil & Shea Butter by Manufaktura (€10.42) and Chocolate Milk Bath (€5.98) by White Witch. 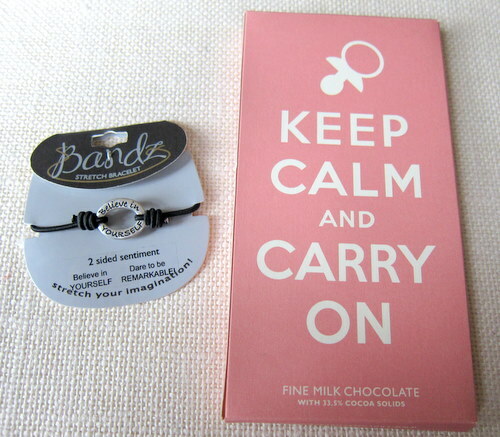 Believe in Yourself, Dare to be Remarkable bracelet (€9.99) and Keep Calm & Carry on Chocolate Bar (€5.51). If I had purchased the hamper it would have cost €70.02 inclusive of the silver box, all contents and delivery, which I think is a good price for such a bumper box of products. Reviews of some of the contents will follow and, in the meantime, why not check out the site for yourself? Because they stock such unique product lines, they’d be perfect for Christmas gifts that are just a little bit different than the norm. Thanks guys, it's a lovely gift idea and nice to have something that's a little bit different! Oh my that packaging is so adorable! It definitely brightened up my day Melanie! Cheers Sue - I've actually just been browsing the site again and am sorely tempted by their gorgeous sounding candles...! Those two bottles are so pretty, would love them in my bathroom. Wouldn't say no to the chocolate either :).